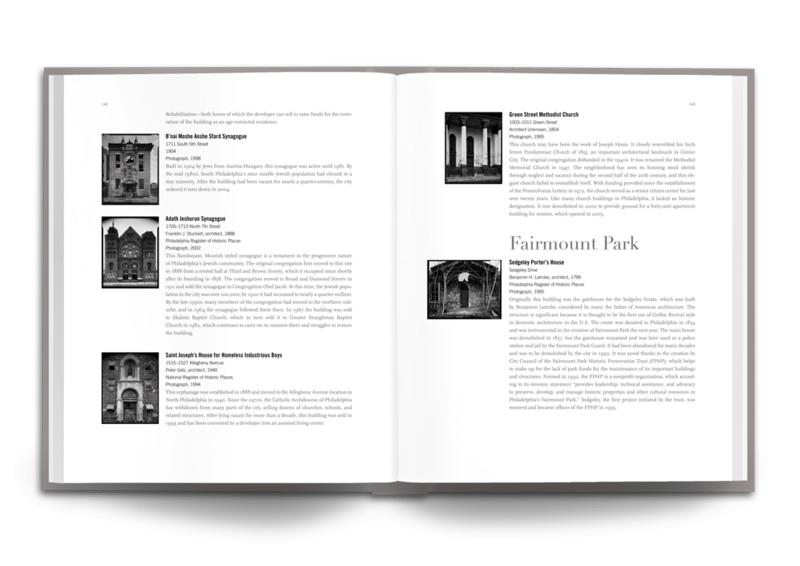 Designing a minimalist book, one that compliments the content, while still conveying the spirit of the author’s vision (as well as the publisher of course) is no simple task. 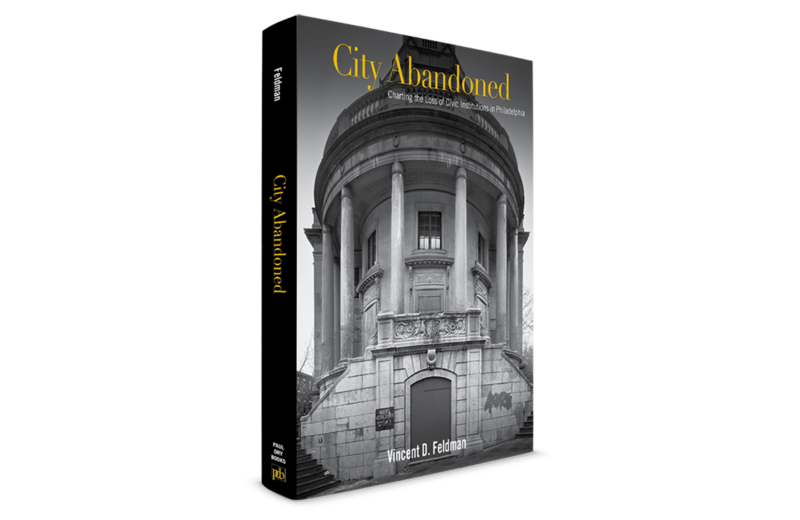 And “City Abandoned,” our latest book design for Paul Dry Books, is no exception in this regard. 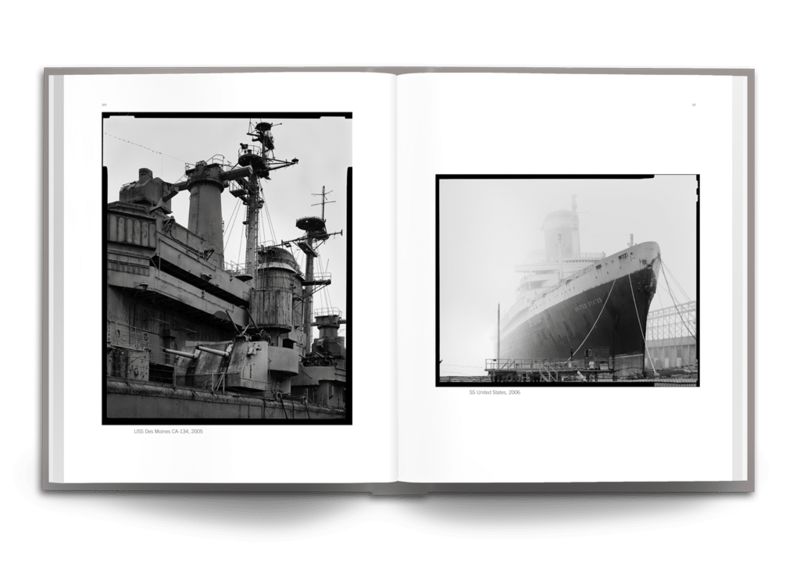 Each of Vincent Feldman’s powerful images required its own space to breathe on the page, while the typography conveys the timelessness of the imagery, and the overall design invokes the importance of the work that Vincent has undertaken with such a large theme. 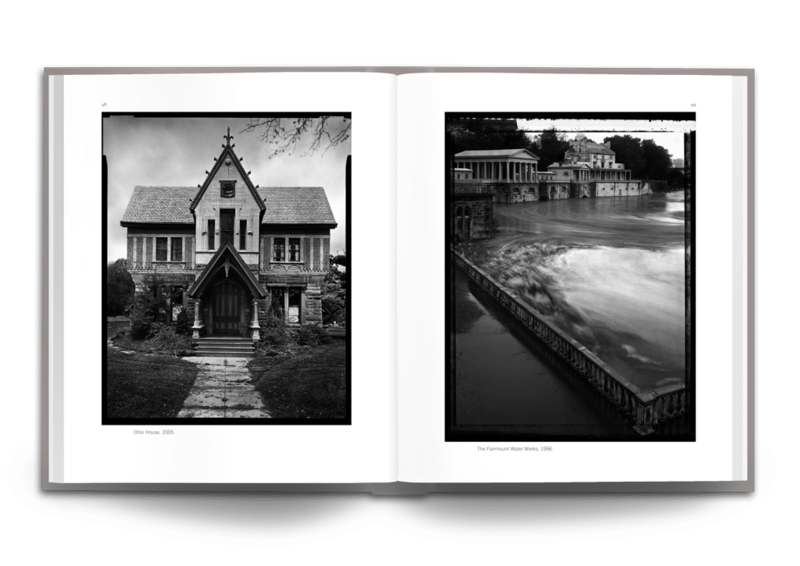 Each detail, from the font selection, the paper choice, the embossing on the cloth cover, and the layout for each section, all were carefully considered so that when the reader holds this volume in their hands, this beautiful object becomes the perfect vehicle to showcase its thought-provoking photography. 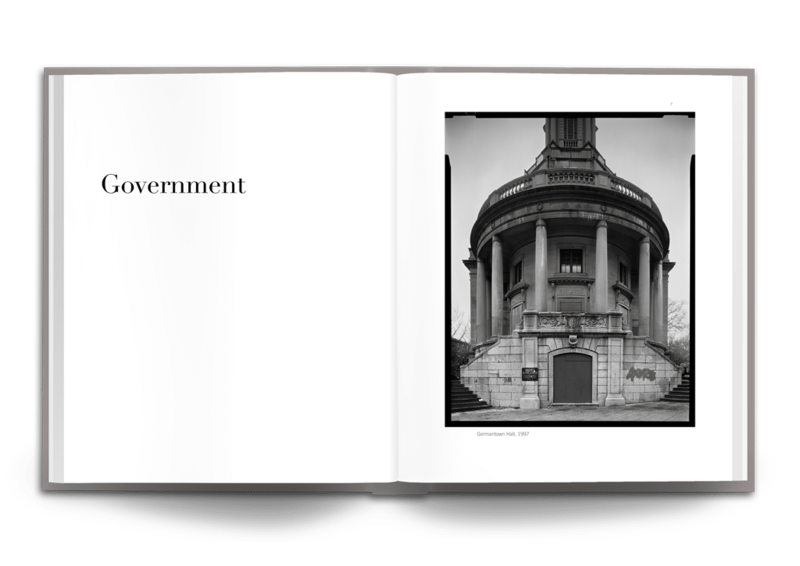 This book features over 150 photographs, each with an accompanying history, outlining the story behind each building. 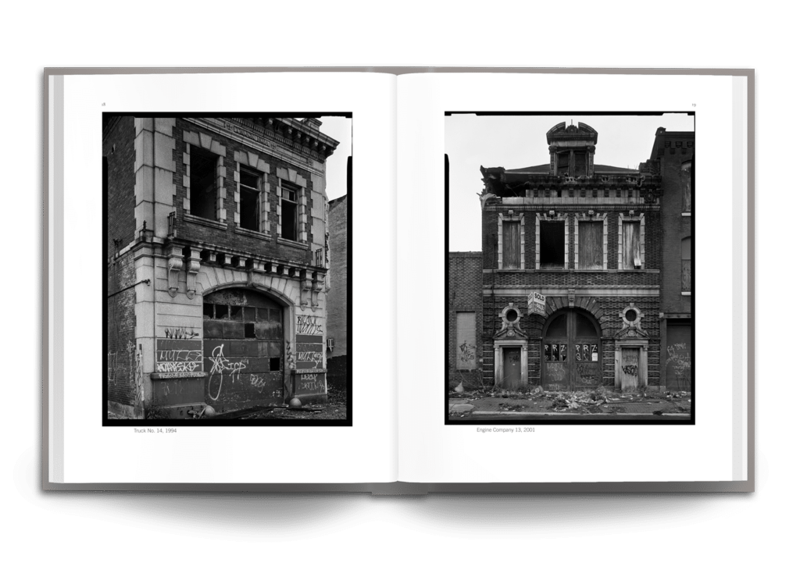 The volume is an eloquent homage to Philadelphia’s once proud architectural past and a sublime call-to-action to rescue the city’s architectural heritage. Incidentally, this book just won a Silver Award in the prestigious Graphis Design Annual. Check it out here. 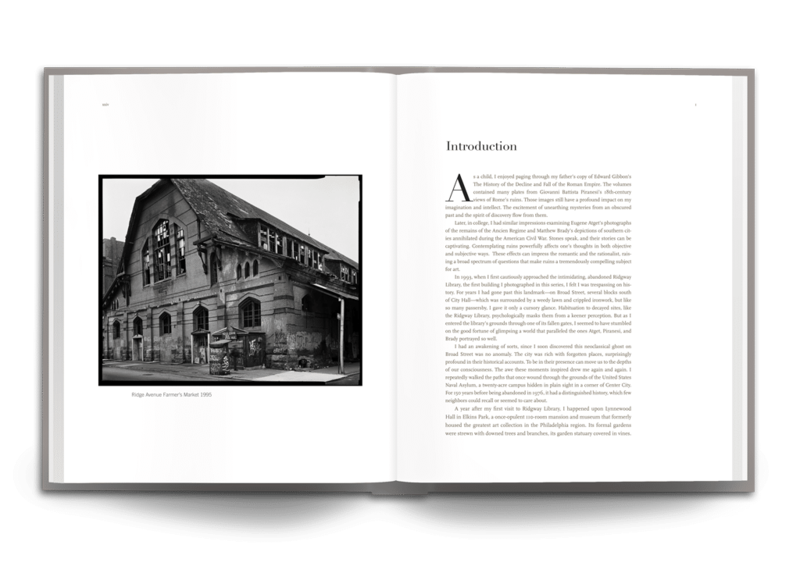 Client: Paul Dry Books is an amazing independent book publisher based in Philadelphia.